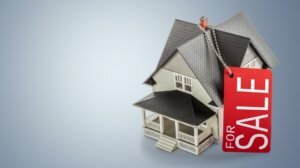 I Can't Sell My House in Dallas... Help! Perhaps your house has been foreclosed on, you’re getting a divorce, you need to rid yourself of a rental property, you lost your job or you’ve got a new one far from Dallas. Whatever the reason, you need to sell your house as soon as possible. In the time you’ve been trying to sell your house, you’ve been realistic and proactive. You make sure your house is always tidy and smells inoffensive. People come to us and say, “I can’t sell my house.” They feel like they’ve exhausted every option and don’t understand why it has sat on the market for so long. We’re here to help. Find out which steps you may not have considered and how to follow them to sell your house now! An effective marketing strategy is essential to selling any home. But it’s important that you make one. Perhaps you’ve created listings for your home on websites like Craigslist or Facebook. Maybe you’ve even put up “for sale” signs around town and in your neighborhood and held an open house. People who succeed in selling their own property create and distribute brochures about their sale. They create their own website for their home, complete with high-quality pictures and descriptions. These sellers also create listings for their home on a Multiple Listing Service (MLS). As the owner, this gives you access to a variety of professional tools used by REALTORS® and brokers. You will appear professional to prospective buyers, which is invaluable to you. Marketing materials and listings will cost you hundreds of dollars. However, the amount you spend here will be a fraction of what you would have spent on a real estate agent or broker. Help yourself by pricing your home appropriately. There are two walls owners commonly run into when pricing their home: 1) they don’t value it enough, or 2) they value it too much. And you know, that works sometimes for some buyers! However, if you have done all of this and still find yourself thinking, “I can’t sell my house,” it’s time to reconsider your pricing. Then there is the opposite problem. Your house means a lot to you and you need the money you make from it to buy a new property. However, if you price it based on those two factors alone, it may be more expensive than it is on the market which will drive buyers away. For either instance, it is important to do online research on your house and the houses around you to price your home appropriately. Making sure your home is inviting will take you from “I can’t sell my house,” to sold! If you think your house is already inviting, we ask you to take a second look. Well, multiple looks, from the inside of your house and the outside. If you were on a walk-through of this home, could you see yourself living there? Could you see the potential in each room? Take a look from the outside. Would you be immediately interested? Would you be interested in getting another walk-through or excited to bid? If your answer to all of these questions is no, it’s clearly time to reconsider what “inviting” means. Yes, your house is clean. But a completely empty house, void of imaginative potential can also be clean. A house that is partially furnished or has mismatched furniture can also be clean, but that alone doesn’t make it inviting. To make your home inviting, consider a clean, neutral in color and pattern, and fully furnished look. Work with what you have and budget. Updating furnishings and appliances is nice, but it’s much more important to create that clean, neutral, furnished look. Letting potential buyers do their own walk-through increases the chances for another walk-through and bid! Often, owners want to walk potential buyers through the house. Perhaps you want to make sure they don’t steal anything small. It’s reasonable that this thought crossed your mind, but in all likelihood, they won’t steal anything. Maybe you would just like them to know every little thing that makes your home great and why it would be a good fit for them. This is not helpful or strategic. You may have great anecdotes about your home or unique amenities to point out, but that won’t help you sell. Letting them experience a walk-through of what could potentially be their property by themselves is invaluable. If you still can’t sell your house in Dallas, get a cash offer. This is a great option when you not only need to sell your house fast, but yesterday! If you want to skip house listings, commission fees, real estate agents, market research, and sell your house as is, a cash offer through Cash Offers Dallas is the right way to go.